The National Association of Home Builders & Remodelers organizes an annual International Business Show (IBS) to offer training seminars and vendor displays for those in the construction profession. 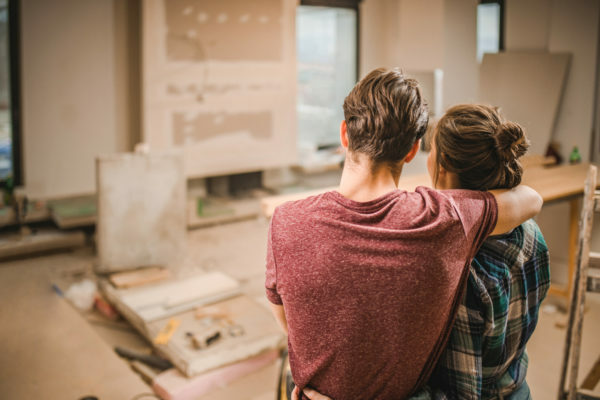 Three hundred companies entered their home improvement products in the competition for recognition as the best product based on innovation, functionality, and design. Here are our favorite award winners and finalists. Best Kitchen Product: Artis Wall by ArtisWall. Love shiplap? Want a stone wall feature? Cedar in your closet? Artis Wall has a system that makes for easy install and removal without damaging the wall. 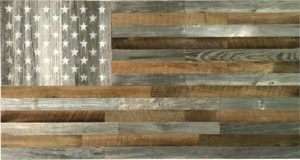 One can even have an American flag design from reclaimed wood stamped with where in the USA that it came from! 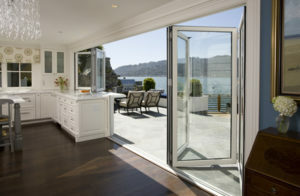 Kitchen Finalist: Kitchen Transition by NanaWall Systems. Now one can have a full glass wall to open to the outdoors with a section of lower cabinets with windows that sit and seal above them. Great to have a pass thru service, or to have a breakfast bar with seating. They also were finalists for creating a seamless glass wall system, ClimaClear and a built in Nana Wall shade system to block light and provide privacy. Best Bathroom Product: Easy Frame by Precision Works. This product is perfect for the do it yourself-er or the ecologically minded who wants to upgrade the look of a plain mirror with a decorative frame. They have patented a sticky backing great for use in the bathroom. Check out the before and after! 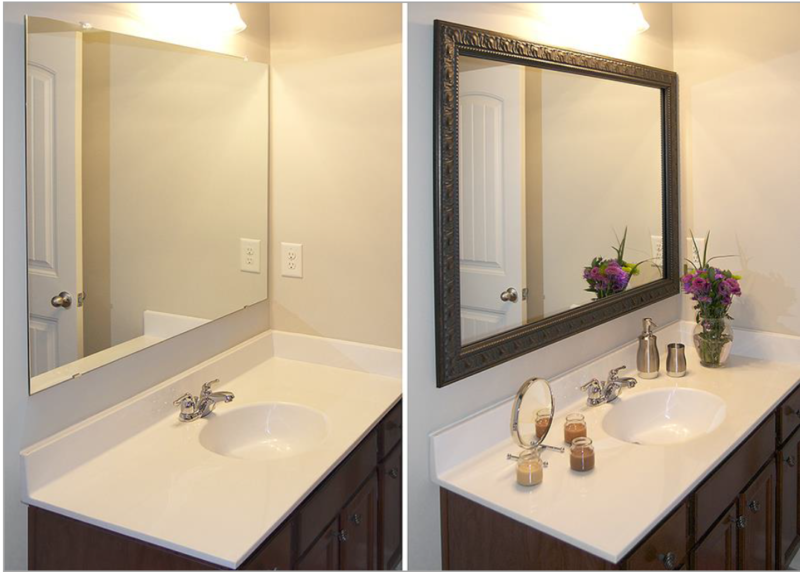 Bathroom Finalist: MagLev Glide by Maglev Glide. 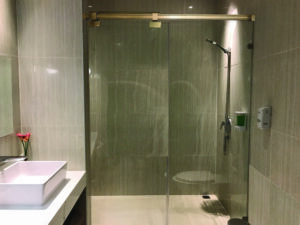 They have the world’s first magnetic levitating sliding glass door system which has a great application as a shower door, for it eliminates the problems of rust, mold and mildew of traditional glass shower doors. It is a safer design, can easily be opened and closed with a touch of a finger since there is no friction. It is purported to last 100 years. 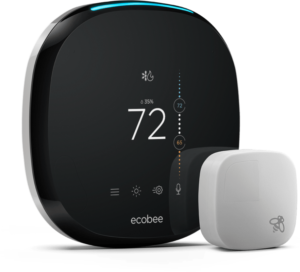 Best Energy Efficient Product: Ecobee4 by ecobee. Their newest smart home thermostat now can work with Amazon Alexa, Applre HomeKit, Google Assistant, and works with IFTTT and SmartThings, so it has a microphone and speaker built in. Finalist for Best Green Building Product: ThermoDrain by Ecoinnovation Technologies. Designed to harness the hot water going down the shower drain, this pipe is wrapped with copper tubing for cold water to come in and wind around the warm drain pipe and go to the hot water heater so it will use 30% less energy because the water is prewarmed. 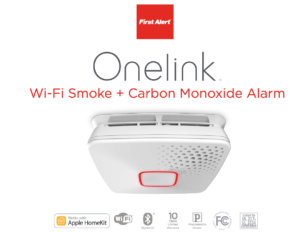 Best Home Technology Product: Onelink Wi-Fi Smoke + Carbon Monoxide Alarm by BRK Brands Inc. What good is a smoke alarm if no one is home? Now you can always be connected should there by smoke or carbon monoxide detected. It will even tell you where the source is in the house. The units connect with each other, so if one is activated, they all will send off an alarm. Happy Home Remodeling and Home Improvement! Click here to see what products won at the 2019 IBS.